I have the strange urge to go to an aquarium. The Sumida aquarium right near the GSC offices is currently a ‘Jellyfish Kaleidoscope Tunnel’! 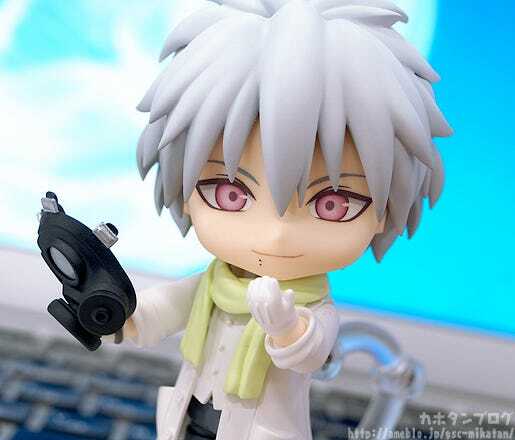 From the popular PC game ‘DRAMAtical Murder’ comes a Nendoroid of Clear! 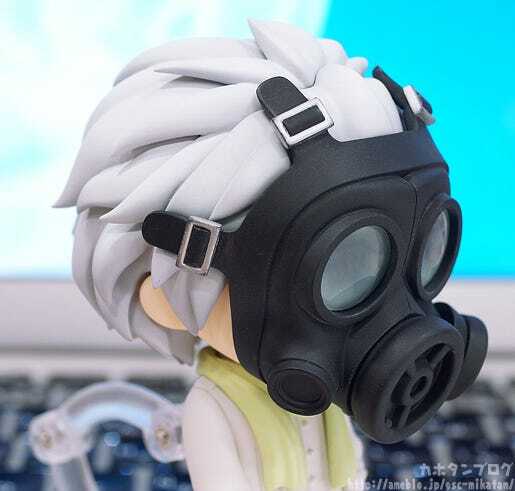 His trademark gas mask is included but can also be removed to reveal his face, and he even comes with a smaller version of the mask to hold in his hands while not wearing it!He also comes with three different expressions for when his face is revealed including his standard expression, a disheartened expression as well as a smiling expression to respond to his ‘master’ Aoba! 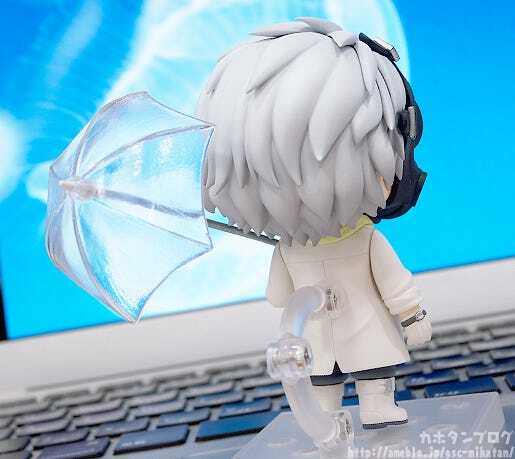 He also comes with a vinyl umbrella as an optional part. Enjoy recreating all sorts of scenes from the series! From the back you can see the gentle layers of his hair which give it a very soft, gentle looking appearance! Plus in his left hand he is holding a vinyl umbrella! 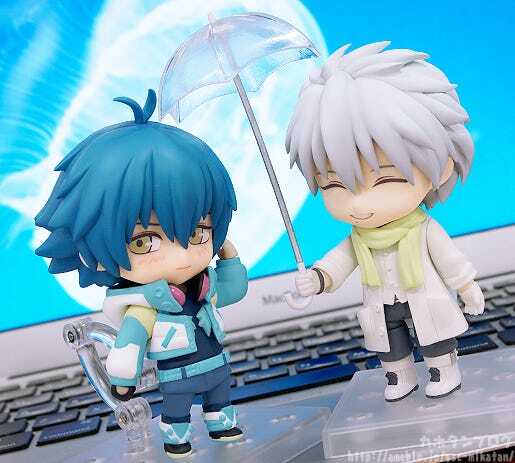 The umbrella is included to help recreate those scenes where he would open up the umbrella just based on his mood, even though the weather was, well… clear. The umbrella can be held in either hand, also allowing for some variety! The gas mask can be removed!! 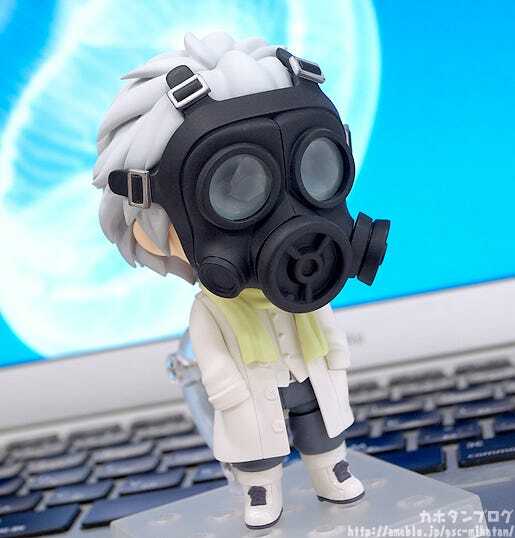 △ The gas mask is not connected to the hair parts, so you can attach it to other Nendoroids like this with some double-sided tape and some good balance! Those of you who know Clear’s story will know there is a lot to the gas mask being worn and removed! Here we have him without the mask! Plus those two little moles by his mouth! 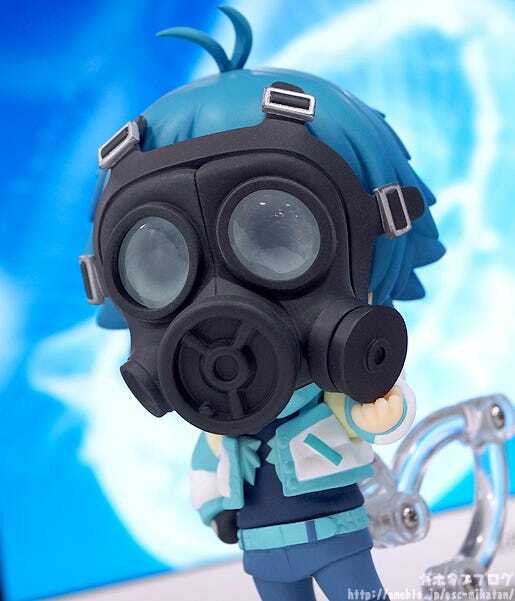 This one is great to display with the previously released Nendoroid Aoba, as it is made in the image of the scene where Clear fear removed his gas mask with Aoba! You can real feel Clear’s insecure feelings! 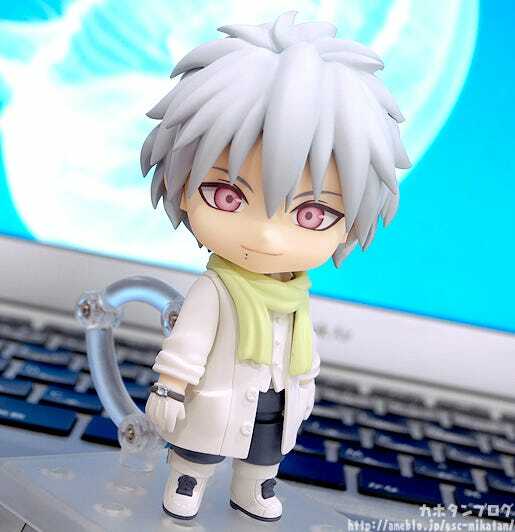 Clear is normally such a carefree and playful character, but having this gap that shows another side of his personality is amazing! 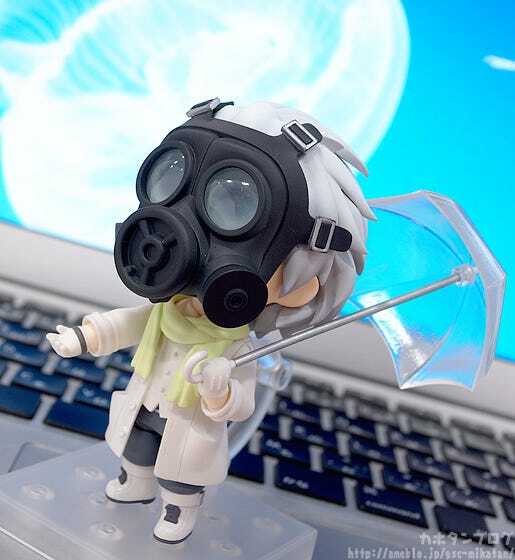 Plus as you can see from the photo above, he also comes with a smaller gas mask part that can be held in his hand as if he has just removed the mask! 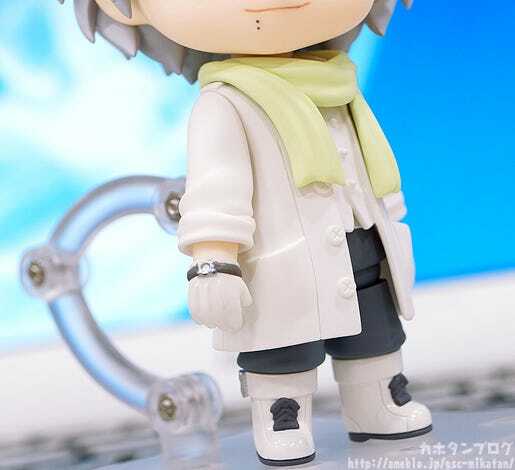 You can even swap hand parts around a bit and have Aoba hold the mask instead! 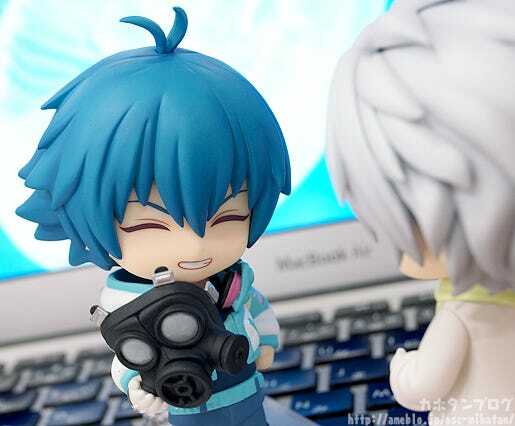 The smile seems so different to Aoba’s! 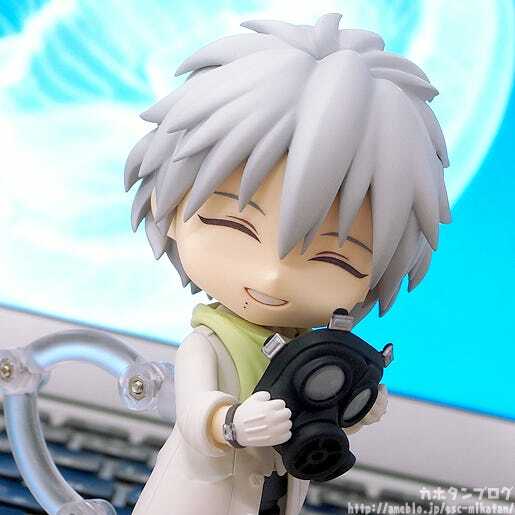 There is definitely something fleeting about his smile! Like something almost too good to be true! △ I can just imagine the conversations between them! The design will be announced at a later date! This Friday is the last Kahotan Station of the year! 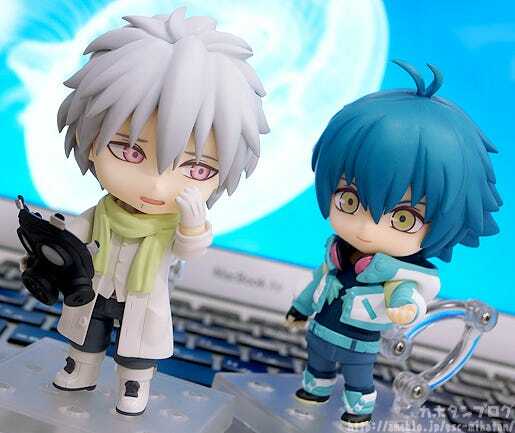 ◆ A Look at New and Upcoming Products! · Isuzu Sento from Amagi Brilliant Park! * More details on entering will be added closer to the broadcast. 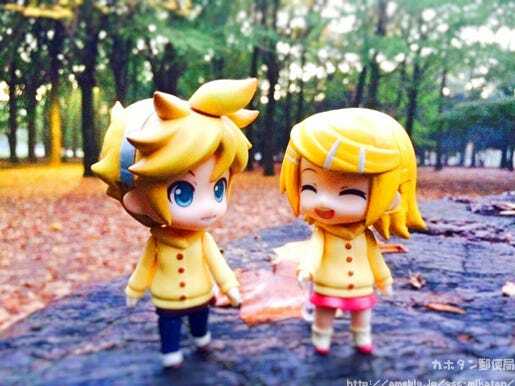 We want to see photos of all those Nendoroids – from simple everyday photos, to photos of you going on trips with your Nendoroids or any other memory you can share with a photo! Send them through for everyone to enjoy! You can find out more about how to enter, the schedule and prizes over on the official site! Date: 2016/2/6 (Sat). Doors open 16:00 for a 17:00 start. 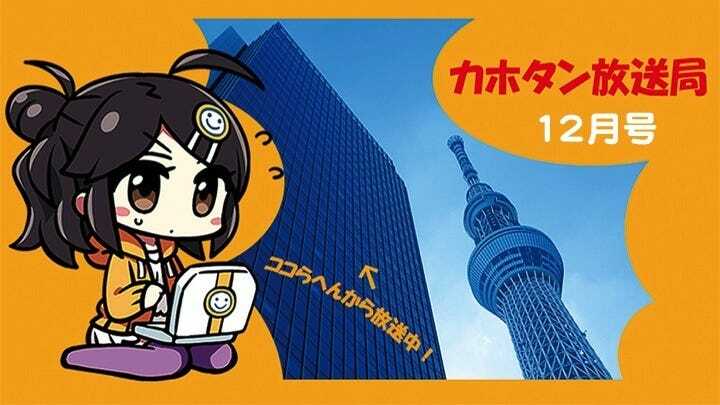 We will be hosting the Nendoroid 10th Anniversary Live on the 6th February 2016 at the Makuhari Messe in Chiba, Japan, where smiles will be had for the performers, audience and everyone else involved! Matching clothes for a date! !